WARNING: Racing is Exceedingly Taxing, both Physically and Mentally. When driving a racecar, you’ll be exposed to extreme (both high and low) temperatures; to dense smoke and fumes; to intense shocks and vibration; to very loud noises; and to a variety of other unusual, exhausting, confusing, and stressful conditions. That was the first paragraph taken from the 24 Hours of LeMons racing rules. Lament’s Auto Repair, in Wayne, PA, is participating in the race on the 11th and 12th of May, in Loudon, NH. They’re entered as Team Death Race. Of course you do. 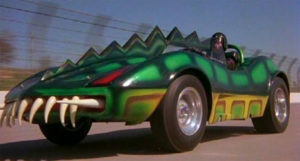 It’s a replica of the Lizard car from the movie, Death Race 2000, starring Sylvester Stallone and David Carradine. 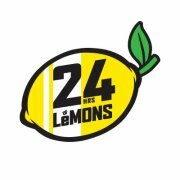 What the heck is the 24 Hours of LeMons? First off, you can’t spend more than $500 on the car you enter. What if you spend more? You lose a lap for every $10 the judges believe you spent above the $500 limit and it’s a claiming race, meaning the judges can buy your car for $500 if they feel you went above the limit. How long can you race a $500 car? If you’re a good mechanic and lucky, two – eight hour days, in the case of the race being held in Loudon. If you can believe it, up to 115 miles per hour. Is there any safety involved? Yes! All participants are required to install a roll cage, a racing seat with a harness, a fire extinguisher and all drivers are required to wear a fire proof racing suit and helmet. You can’t even drink! Besides the $500 car value limit, there are a few. No contact between vehicles, your wheels can’t leave the pavement, you can’t speed in the pits, ignore safety flags, be too aggressive or annoy the judges or the other drivers. The dreaded black flag. More than one of those and you’ll be sent to the penalty box while all the other competitors go on with the race. However, bribes are accepted. You can contribute to the race organizer’s charity to buy off a penalty. What is the worst offense? The “Why am I upside down?” rule. Why? According to the race organizers, If you end up in that position, you have no business being out on a racetrack. Any driver who puts a car on its roof is out for 12 months. The team that completes the most laps at the end of the two – eight hour race days. It’s a sliding scale, based on whether the judges feel your car has a chance to win or not. If they take your car seriously and you win, you get $400. If they think your car has a chance to finish but not challenge for victory, and you win, $500. If a car is considered to have no chance of finishing but some how you pull off the victory, your team collects $600. All prizes are paid in nickels. Whiners are not eligible to compete. If you believe that you might be a whiner, please check with a domestic partner, guardian, or health-care professional before getting the rest of your team kicked the hell out of the race. Lament’s team is considered a Class A competitor, meaning they are considered a viable contender. Usually, they finish in the top ten. That means they know how to work on cars and within a budget; because the $500 LeMon limit includes auto parts. If you’re close to Wayne, PA, come see the Lizard while you get your oil changed or car inspected.